CASTLE HILLS LUBE CENTER LLC of CASTLE HILLS provides fast oil changes, featuring high quality Valvoline motor oils and chemicals. We are located at 2005 NW MILITARY HWY in CASTLE HILLS. 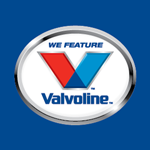 Check out our oil change coupons, for savings on your next oil change visit.